Secondary suites, a common feature of larger, older homes in several Canadian municipalities, have been in existence for many years but became illegal in some jurisdictions when zoning bylaws set stringent requirements for the type of housing that could be accommodated in low-density areas. Since the 1980s, secondary suites have been recognized by policy makers as one of the most cost-effective ways of providing affordable rental housing and are an important part of the Canadian housing stock, especially in urban areas. Secondary suites make up close to a fifth of the rental stock in Vancouver and Edmonton. They are also an important source of rental housing in smaller towns and in rural areas where there is little conventional rental housing. So what are Secondary Suites? A secondary suite is a private, self-contained unit within an existing dwelling. 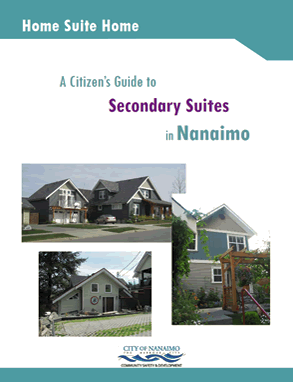 Secondary suites are also called second units, accessory apartments, granny flats, in-law suites and basement apartments (since many are found in basements). A secondary suite has its own bathroom, kitchen, living and sleeping areas but can share a number of features with the rest of the house. Shared facilities may include a yard, parking area, laundry and storage space, and sometimes a hallway. As well, secondary suites allow families to stay together by providing a first home for an adult child or elderly relative. Many municipalities across Canada have recently reviewed, or are in the process of reviewing, their bylaws and standards governing secondary suites in order to assess whether they can be relaxed, which has led to an increased number of municipalities permitting secondary suites in recent years. Some municipalities permit secondary suites “as of right” in all single-detached dwellings, while others permit them only in designated zones. In other cases, municipalities permit secondary suites through site-specific rezoning. Secondary suites are governed by provincial or territorial building codes that deal with health, safety and fire protection. Often, a flexible approach using equivalencies in building codes or an incentive/grant program is necessary to encourage owners to make their suites legal. Secondary suites are an important supply of rental housing in many cities, towns and rural communities across Canada. For example, in 2014, it was estimated that there were about 26,600 secondary units in Vancouver, forming about a fifth of the rental stock. About a fifth of the rental stock in Edmonton is in secondary suites and accessory dwellings, as well. Rents in secondary suites are often lower than those for apartments in conventional rental buildings, and the suites can be developed with no or minimal government assistance. Secondary suites enable low- and moderate-income households to live in ground-related housing in a residential setting. Not only are secondary suites a source of affordable rental housing, they can also provide the needed extra income to first-time homebuyers for whom that additional income makes housing affordable in high-cost areas. For older households who no longer need a large house, the addition of a suite can generate needed income and security, as well as allow them to continue to live in their neighbourhoods and age in place. Often, the opposition to secondary suites centres around their perceived impact on the neighbourhood. Communities that oppose secondary suites will cite worries that the densification will lead to the overcrowding of schools and neighbourhoods, increased parking problems, and higher use of water, sewer, and garbage collection services. However, research undertaken by CMHC in the past regarding the impact of municipal user fees on secondary suites found that secondary suites do not have an overall significant negative impact. Given the trend to smaller households, secondary suites generally do not place an extra burden on municipal infrastructure or services beyond the original design capacity. Conversely, by helping to reduce the decline in neighbourhood density, secondary suites can absorb underutilized capacity and allow for the more effective use of resources, such as for water, sewer, and garbage collection services. In terms of infrastructure services, secondary suites tend not to overtax services but serve to offset the decline in school population. The impact on parking was found to be negligible, as people who live in secondary suites tend to own fewer cars on average than people who live in single-detached homes. The combination of a decline in the construction of new higher density rental housing and the conversion of rental stock to strata ownership has put increased pressure on the rental market in many BC communities. With the cost of housing at record high levels, secondary suites can provide rental housing that is affordable, ground oriented, and market based. There are benefits for the owner, the tenant, and the community. • Mortgage helper. 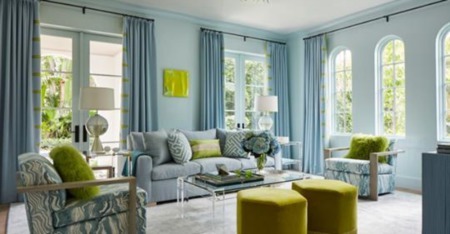 With rising housing costs, particularly in urban areas, purchasing a house with a suite or adding a suite can make it possible for new homebuyers with limited income to purchase a home. • Aging in place. Owners on a fixed income and frail seniors can remain in their own homes longer by renting a secondary suite. In addition, having someone living close by can provide a sense of security. • Allowing families to stay together. An owner may provide a secondary suite as a first home for an adult child or as nearby accommodation for an elderly relative. • Affordable housing. Secondary suites expand the supply of lower cost rental housing, providing the opportunity for renters to live in a lower density residential neighbourhood. • Ground-oriented housing. Basement units, the most common type of secondary suite, provide the greatest ease of entry and often include access to a yard. • Proximity to services. Detached housing neighbourhoods generally have easy access to schools, shopping, recreation centres and other services. 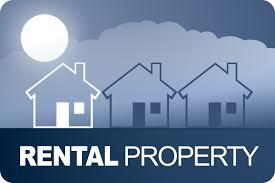 • Expansion of lower cost rental housing without the need for government subsidies. Municipalities frequently participate in affordable housing programs that require matching funds, land donations, or other contributions. An additional way to increase the affordable housing stock and to take some pressure off subsidized housing is to promote secondary suites as a legitimate alternative. • Low-impact densification. Secondary suites increase the rental housing stock without significantly changing the built form of detached housing neighbourhoods. They add to the efficient use of existing housing stock, land, and municipal services; make use of underutilized infrastructure in neighbourhoods that have undergone population declines; and can help to develop more transit-supportive communities. • Complete communities. Diversity of housing types enables citizens from a wide range of economic levels and age groups to live within the neighbourhood. • Promotes Smart Development. Secondary suites increase density within established communities. As a result, pressure to build new developments at the community’s edge is reduced. By reducing peripheral development, natural and agricultural land remains intact for recreational purposes, habitat protection, and agricultural economies. • Design and character issues. Secondary suites allow municipalities to increase density and meet housing needs without drastically altering the character of the neighbourhood. • Planning for infrastructure. Having more certainty about the number of dwelling units in an area allows local government to more accurately plan the development of infrastructure. • Increase in federal transfer payments. Tenants living in legal suites may be more willing to be identified by census takers. More accurate counts can result in higher population numbers and hence increases in population-based funding. • Avoiding a culture of non-compliance. One of the problems associated with the proliferation of illegal suites is the development of a culture of noncompliance. Conversely, a permissive policy encourages compliance. There is a complex set of issues and challenges associated with secondary suites. Given the history of illegal secondary suite housing, there continues to be debate in many communities about whether to legalize. On one hand, legalizing existing suites is difficult due to factors such as health and safety concerns, neighbourhood concerns, and the need to avoid closures of affordable housing stock. On the other hand, the option of continuing to prohibit suites does not stop them from being built, thus deepening the scale of the problem. The following are some of the key issues and challenges. • Community acceptance. In jurisdictions where suites have always been allowed, such as the Resort Municipality of Whistler and the Village of Anmore community acceptance of suites is not a significant issue. Where suites have been prohibited however, many residents have developed strong opinions. Levels of community acceptance can be improved through public consultation during the development of a secondary suites program. • Fairness of utility billings. One of the major concerns of residents is that owners of housing with unauthorized secondary suites are ‘getting a free ride.’ Development of a fairly applied secondary suite program that recovers costs for increased utilities can address this concern. 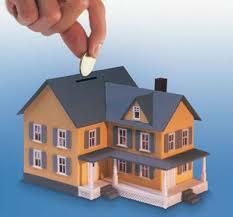 • Fairness of property taxes. Owners of homes with illegal suites may not be paying their fair share of property taxes. 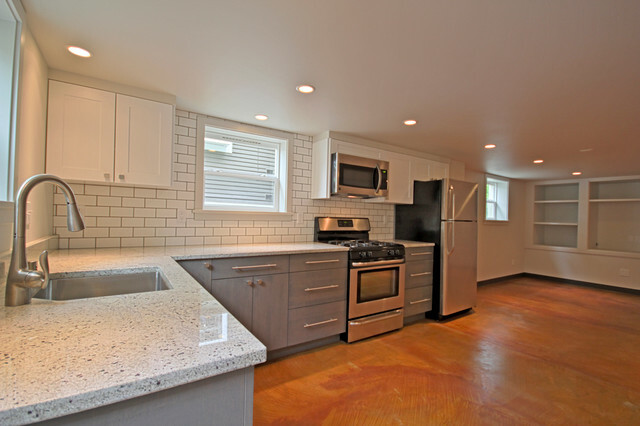 Examples provided by the BC Assessment Authority, based on the 2000 assessment in the Greater Victoria area, show an increase in value of 8% to 10% for homes with a 900 square foot secondary suite over similar homes with unfinished basements. suites built before a certain date will only be closed if there are serious safety issues, as in the case of the City of New Westminster. • Parking. The perception that suites will create parking problems is a common source of resident concern. 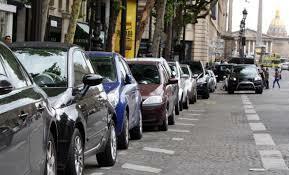 A typical approach to dealing with this issue is to require additional off-street parking for legal suites. • Impact on built form. Although development of suites is widely regarded as a way of increasing residential density without sacrificing the built form of neighbourhoods,the perceived impact of secondary suites on built form can be an issue. One way of managing this issue is to prohibit suites in secondary buildings or carriage houses, as is the approach of five of the eight jurisdictions profiled in this guide. Another approach is to establish secondary suite design guidelines, as in the case of the City of New Westminster. • Bylaw enforcement. The question of whether to be reactive (responding to complaints) or proactive (seeking out illegal suites and enforcing the bylaw) is a significant issue for local government. • Administrative costs. For smaller jurisdictions with scarce staff resources, dealing with suites may not be a priority. Some jurisdictions may see the cost of bylaw enforcement as a stumbling block. • Suite registration and licensing. In some cases, the municipality seeks cost recovery through a registration fee. For example, the City of Abbotsford requires owners to pay $550 to register an existing suite and $250 to register a new suite. This helps cover costs such as inspection services to ensure the suite is compliant with health and safety requirements. • Local government liability. Many local governments have identified concerns about potential legal liability as a barrier to development of a secondary suite program. The concern is that non-enforcement of bylaws may leave the municipality vulnerable to lawsuits in the case of injury or death associated with unsafe suites. Because many municipalities do not permit secondary suites, or only permit them in selected neighbourhoods, secondary suites are often created illegally. Even when secondary suites are legalized, homeowners may be reluctant to declare their unit because they will likely have to bear the cost of upgrading their unit to local and provincial building, fire and safety standards. Some owners do not legalize their units in the hope of continuing to avoid paying income taxes on their net rental revenue. Municipalities are taking a variety of approaches to facilitate the documentation and upgrading of illegal suites. In order to ensure residents have adequate and safe housing, some municipalities developed specific programs to assist homeowners with secondary suite compliance. For example, the City of Saskatoon, Saskatchewan, offers to waive municipal building and plumbing permit fees for property owners to encourage the legalizing of existing secondary suites. 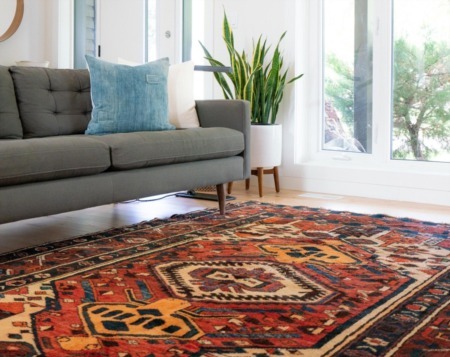 The City of Burnaby, British Columbia, provides property owners who would like to legalize their secondary suite with the option of a complimentary suite feasibility inspection and report. This free service is a coordinated inspection carried out by building, electrical, plumbing and gas inspectors. The City of Vancouver permits secondary suites “as of right” within the RS (one-family dwelling), RM (multiple-family dwelling) and RT (two-family dwelling) zones. They are also permitted in multiple-unit dwellings (apartments) and mixed-use developments. The City of Edmonton permits secondary suites “as of right” in all locations, in all low-density residential zones. A maximum of one secondary suite is allowed per single-detached dwelling. Requirements include providing three on-site parking spaces (tandem parking is permitted). Some municipalities, in the province of Quebec, for example, permit suites occupied by immediate family members only. Although all provinces in Canada encourage the development of secondary suites as a means to provide options for affordable housing, only Ontario has enacted specific provincial legislation requiring municipalities to develop policies in their official plans and zoning provisions to provide for secondary suites. Changes made to the Ontario Planning Act in 2011 make it obligatory for municipalities to allow for secondary suites within single-detached, semi-detached and townhouse dwellings, as well as in ancillary structures, such as detached garages. These changes are intended to improve access to adequate, suitable and affordable housing. Municipalities must meet the new requirements set out in the Planning Act and bring their planning documents into conformity as part of their five-year review or sooner, at the discretion of the municipality. In Quebec and British Columbia, the provincial legislation includes provisions granting municipalities the authority to regulate intergenerational dwellings and secondary suites, although they are not mandated. In Quebec, under section 113 of the Act respecting land use planning and development, municipalities have the authority to limit the occupancy of an additional dwelling to a relative, a dependant, or persons who are or were related to the owner or occupant of the principal dwelling. As well, Saskatchewan, Manitoba and Nova Scotia provide financial assistance to property owners to construct or renovate secondary suites. In Canada, the design and construction of new secondary suites and the upgrade of existing ones are governed by provincial and territorial codes. The provinces and territories often either adopt or adapt the National Model Construction Codes, which include the National Building Code (NBC) of Canada and the National Fire Code of Canada. The NBC includes specific floor area maximums, ceiling height minimums, window dimensions and smoke alarm installation, as they pertain to secondary suites. British Columbia, Alberta, Ontario and Quebec have their own provincial building codes that regulate the development of secondary suite codes, based on the National Model Construction Codes. Entrances — A secondary suite must have a separate entry door. This door may open to a vestibule shared with the rest of the house or may lead directly outside. An existing side or back door can often be used as the apartment entrance. Fire safety — Each wall, floor or ceiling separating the secondary suite from the rest of the house must provide adequate fire and sound resistance. According to a brochure prepared by the Province of Ontario, a combination of batt insulation and drywall supported on metal channels will normally enable standard wood-frame construction to meet code requirements. Other requirements include smoke alarms, carbon monoxide detectors and a fire exit. Height, moisture and natural light — If the apartment is provided in the basement, it must be dry and have adequate natural lighting and enough headroom (height varies by jurisdiction).